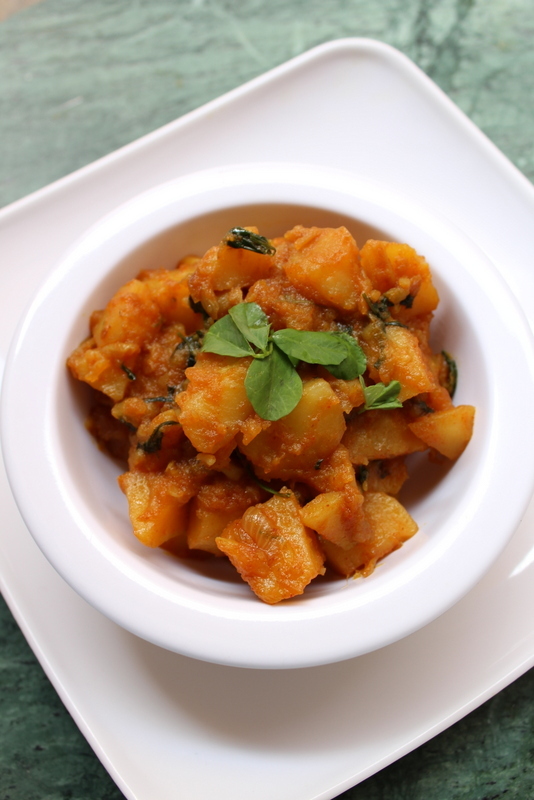 Aloo Sabzi Recipe is an all time favorite basic sabzi recipe made with diced potatoes and is a simple recipe made with basic ingredients available at home. Aloo sabzi is liked by every Indian and this recipe goes well mainly with roti or chapathi, phulka roti, paratha or rice. Potatoes are used most of the time to make various curries and this vegetable is liked by kids too. Aloo is great vegetable to make recipes for kids and pack them for school lunch boxes. 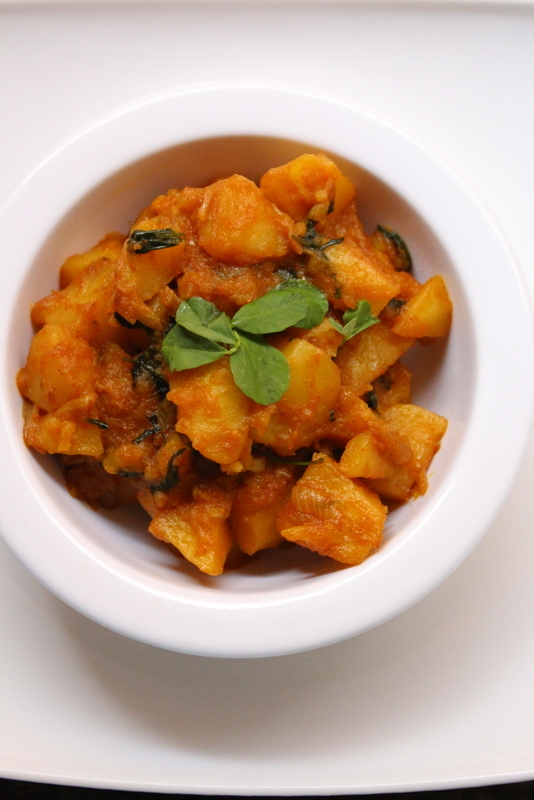 This basic sabzi recipe with aloo is good to be eaten with roti and can be packed for lunch. Aloo recipes made in south india and north india are slightly different. In south india some basic veg curries are made using curry leaves and mustard seeds in the tempering and the south indian methods too give an awesome taste. 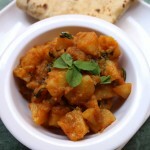 Aloo is an ingredient which can be used to make various kinds of aloo sabji recipes and I would like to keep on sharing recipes on this wonderful aloo and delight my blog readers with its uniqueness..
Firstly, in a pressure cooker or cooking vessel, add oil and heat it. Add sliced onions and slit green chillies into it and saute for few minutes, cook until onions get soft(not brown). Add salt, red chilli powder, turmeric powder, ginger garlic paste, mix and saute for few seconds. Add diced potatoes, mix and cook for about two minutes. Add about a cup of water, add chopped coriander leaves and methi leaves into it and mix well. Cook until aloo is cooked well or pressure cook for about 3 whistles. Reduce the steam and check if aloo is done. If there is any water content remaining, cook for about a minute by keeping the lid uncovered. 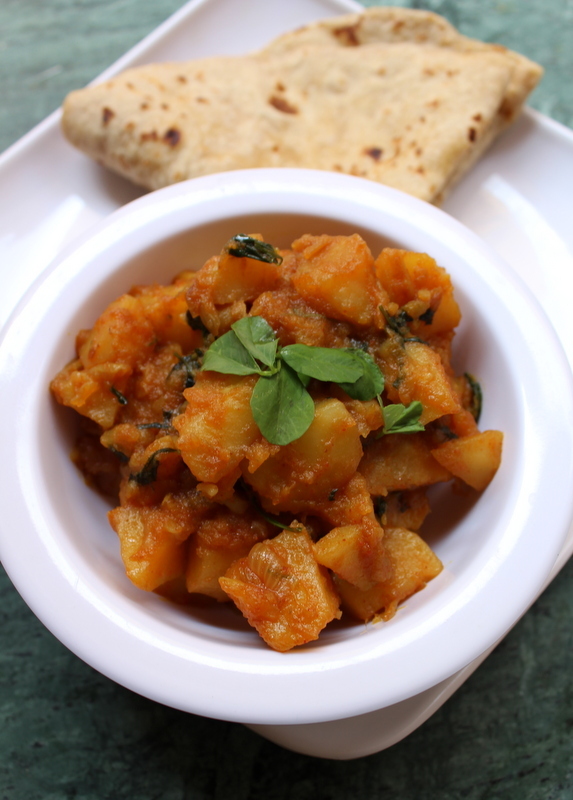 Serve aloo sabzi with chapati!!! 1.Skip adding methi/fenugreek leaves if not available.